Tonight is the premiere of the third season of the HBO dramedy “Girls.” If you are an American woman between the ages of 17 (depending on how cool your parents are) and 35, you will probably be watching this tonight with a group of friends, or solo in your jammies… or later with your stolen HBO Go Password. And even if you don’t like the show, you will probably watch it anyway because you know this will be what people will be talking about for the next three months. “Girls” is a cultural phenomenon. Since the trailer for the first season aired, people could not stop praising it. Perhaps society was just ripe for a show like this, or maybe it is because the team working around the marketing for this show has developed a brilliant social media campaign, perfect for its target audience. Women, especially those under 35, dominate social media (even though Twitter has a gender bias problem) and this is a show that is literally named for them (because at the end of the day, aren’t we all just still girls?). The social media team behind the show has capitalized on that fact with an extensive digital and social media strategy. “Girls” has published integrated editorial content on BuzzFeed, produced unique GetGlue stickers for each new episode (including real-life rewards for checking in, such as cross-stitchings as seen on set), and created a behind-the-scenes social-media production diary courtesy of Storify. The team has even developed a user-generated (but brand-curated) Tumblr featuring Girls GIFs. 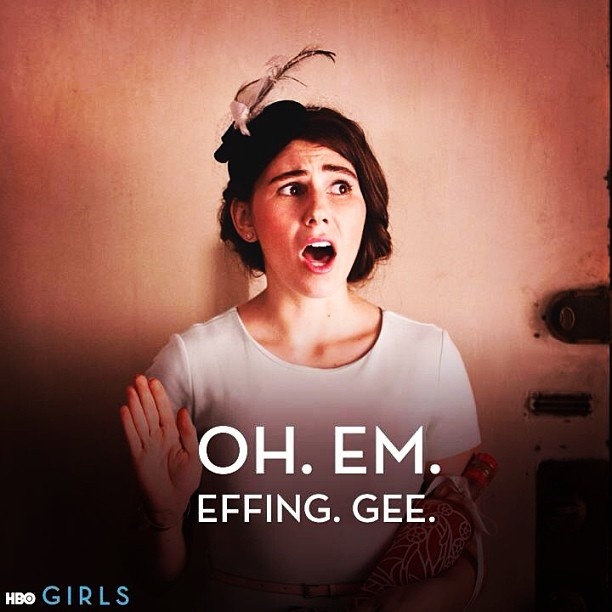 Even better, just this week a SnapChat account was created for “Girls.” The show has used SnapChat to send out an emoji version of a memorable quote by fast-talking lead character Shoshanna Shapiro (played by Zosia Mamet). This move will only continue to help the show’s digital media presence. Now that is what we call multi-channel marketing!